The bias is the diagonal line that runs across the grain of a fabric. It’s stretchy which allows it to be moulded easily around curves such as necklines or arm holes. 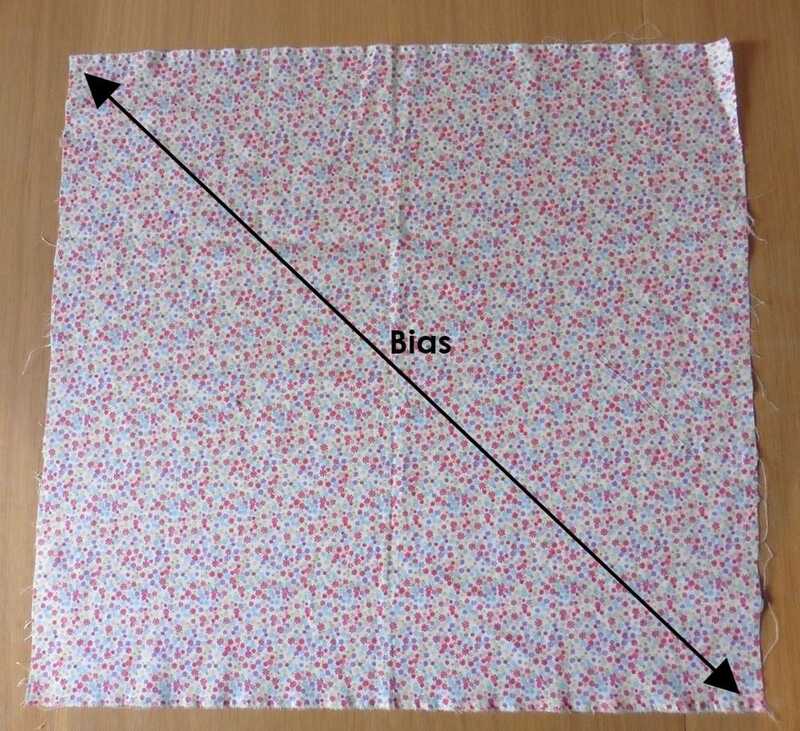 Bias binding is a great addition to your sewing basket whether you like dressmaking, soft furnishings or even craft projects! 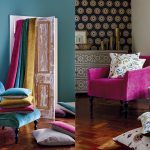 It can be used for many different purposes including neatening up hems, creating piping for a cushion or adding a contrasting edge to a bag. 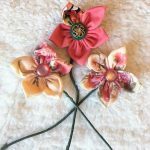 You can buy bias binding from our haberdashery departments in a selection of colours and two different widths but it’s even better when you can make it yourself! 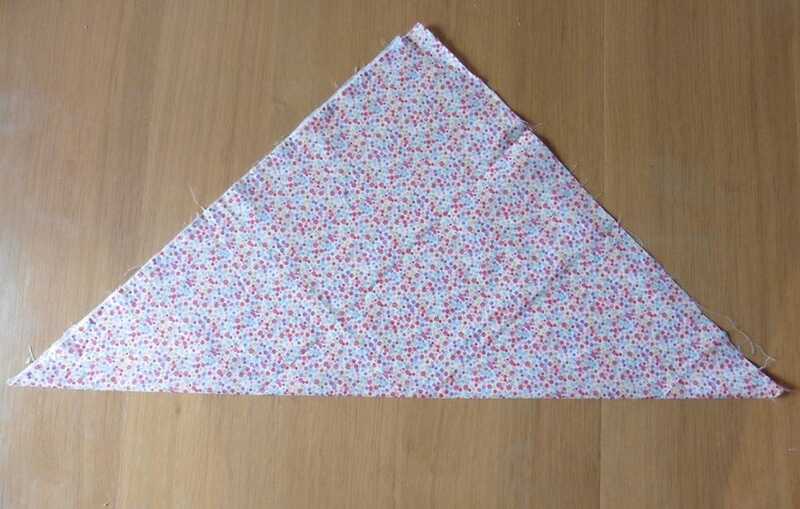 Fold your piece of fabric in half along the diagonal and lightly press with a warm iron. 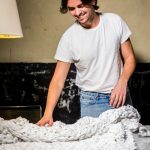 Unfold the fabric and lay flat on the table. The diagonal line will be the line that you follow to create your bias strips. 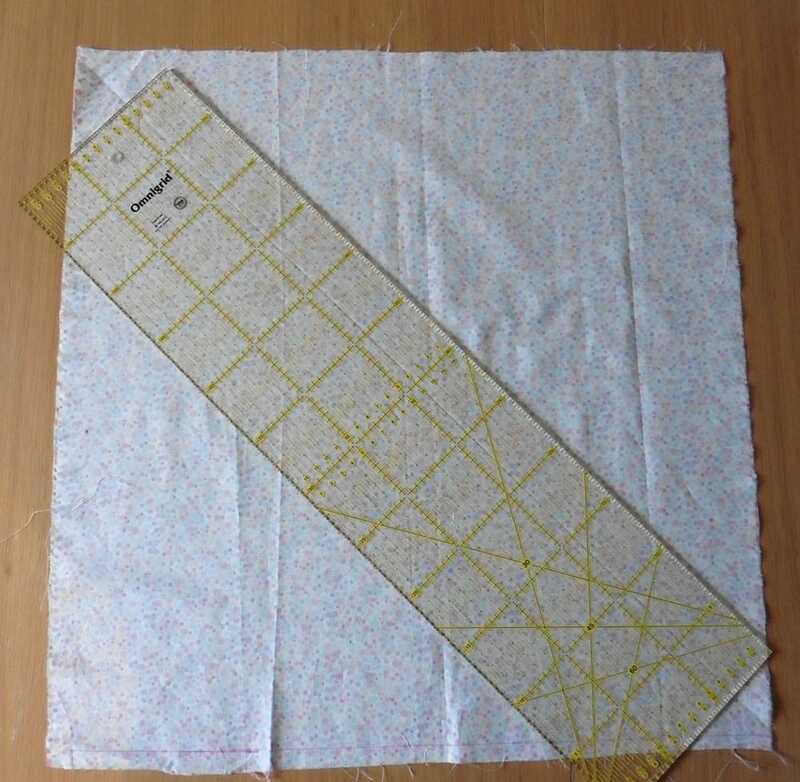 You will need to decide how wide you want your bias strip to be once finished then times this by 4 to get the width you need to mark out. 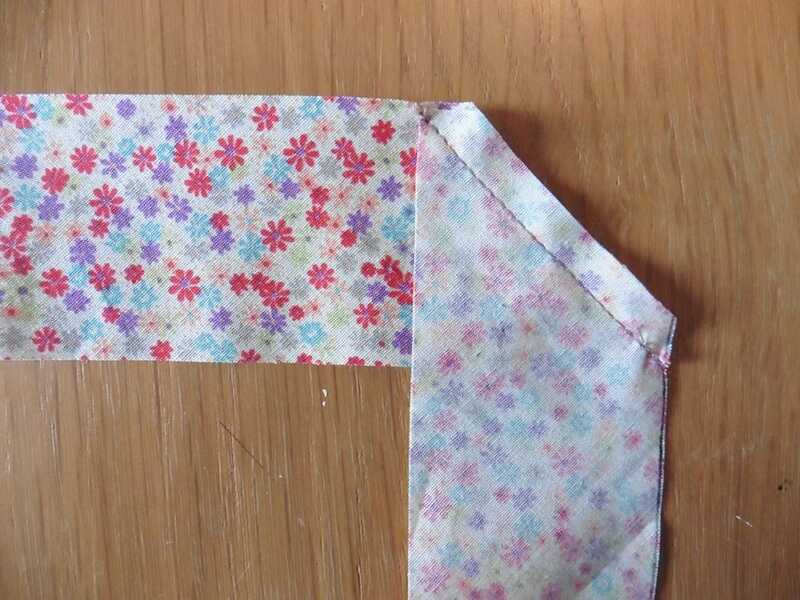 In this example the finished width will be 1cm wide so we need to cut our bias strips 4cm wide. 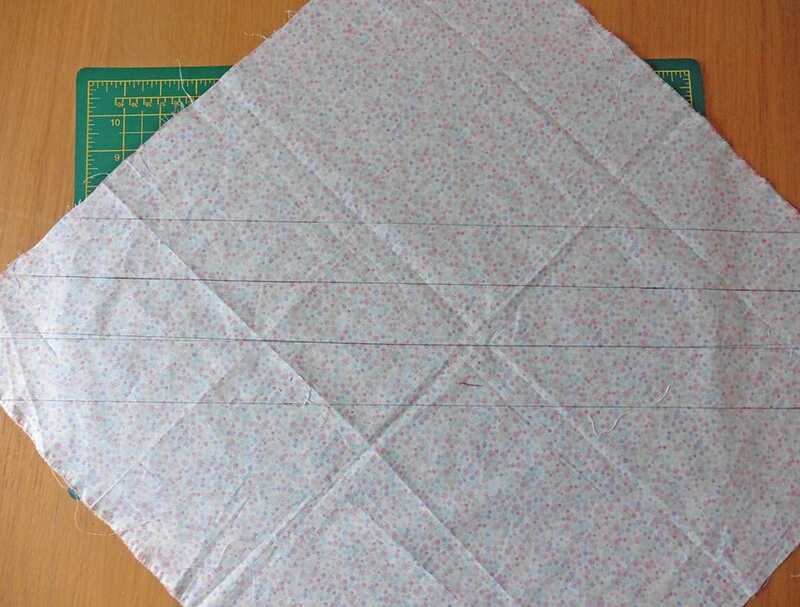 Starting with the diagonal line mark out 4cm strips across the fabric. 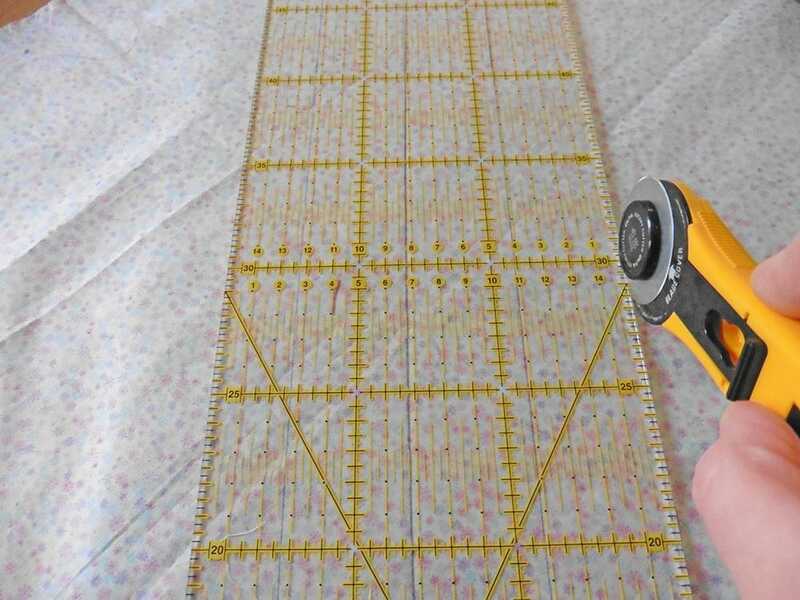 Using a rotary cutter or fabric scissors cut out the strips. If you feel confident enough you can cut the strips out with a rotary cutter as you measure them. 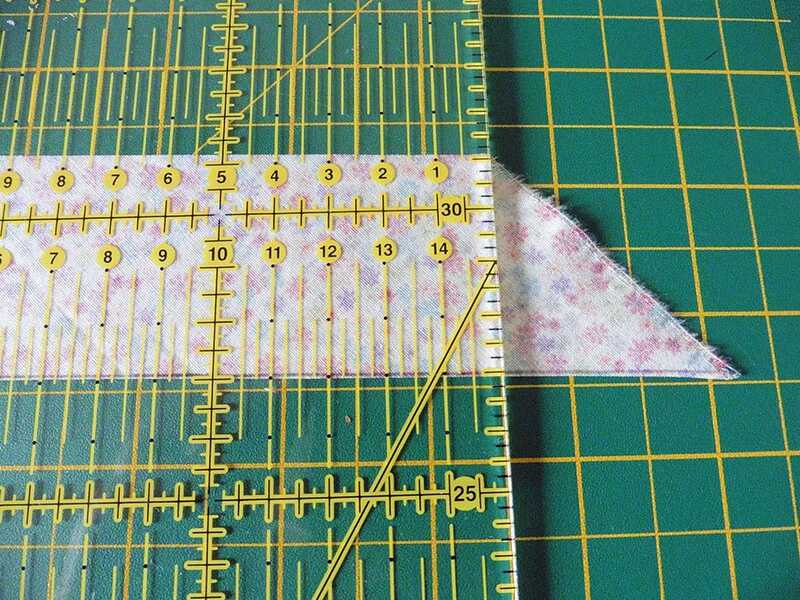 Once all the strips are cut out, trim off the diagonal ends so that there is a straight edge. 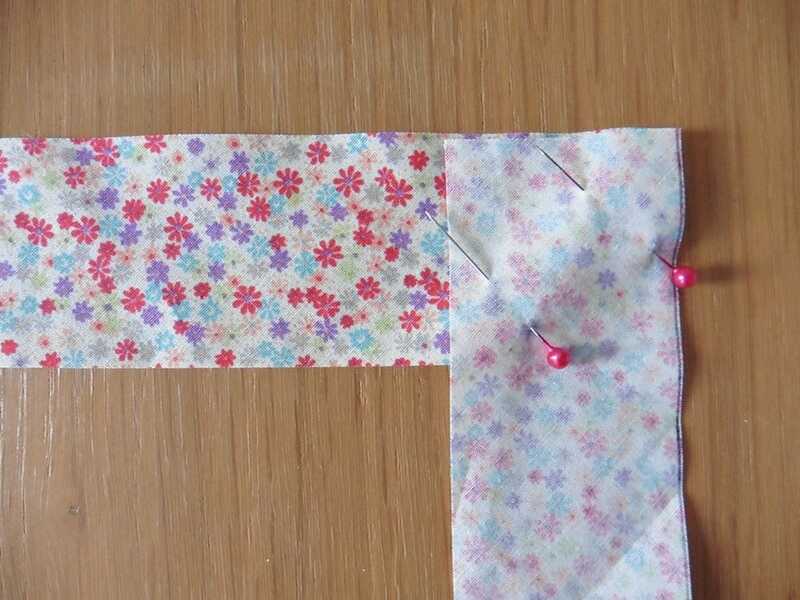 Now place two strips right sides together at a 90 degree angle and pin in place. Sew along the diagonal line of the little square they make. Next trim the seam allowance and iron out flat. 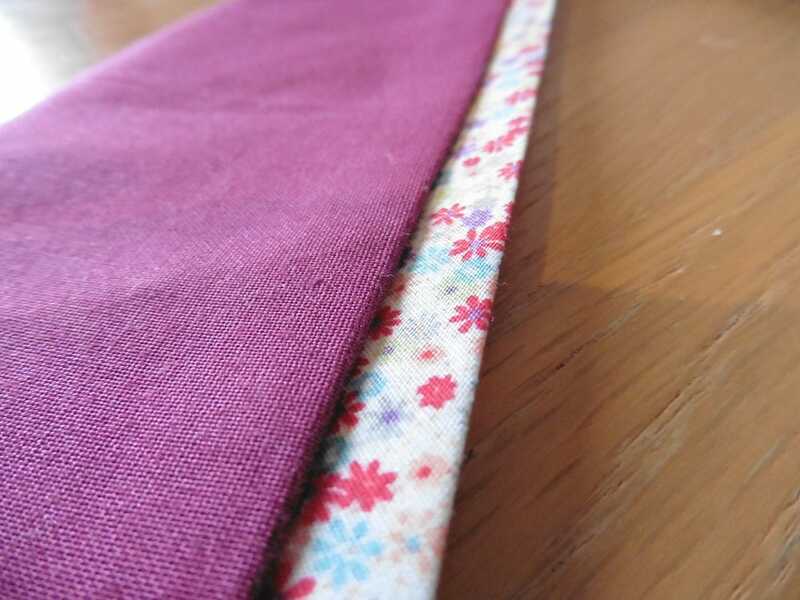 Continue joining the strips together until you have the length of bias binding you need. 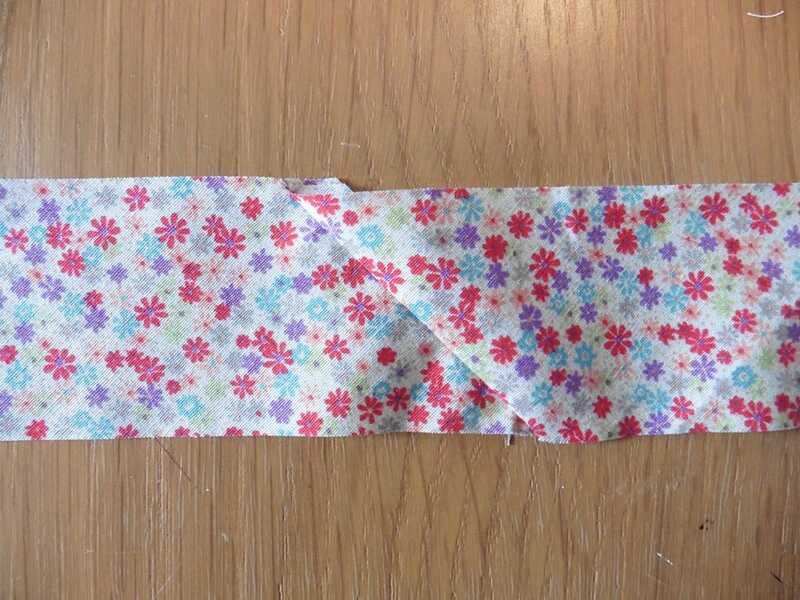 You have now created your own bias binding! 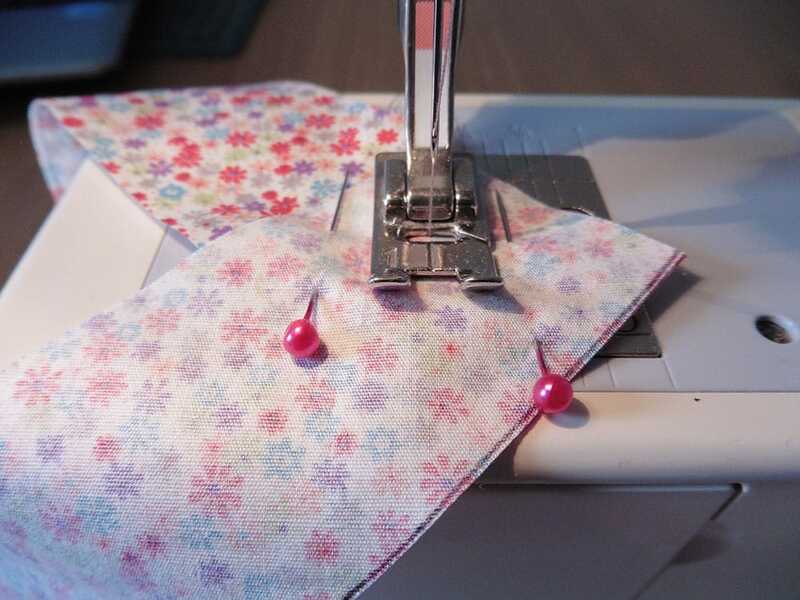 You can either fold it in half yourself and iron flat or you can buy a special bias binding tool from our haby department which folds the hems over for you. 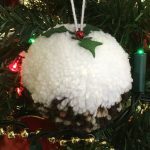 Jess – Furnishing Department, Horsham store.